The meeting, called by all campus unions updated staff on the successful lobby of Holyrood, where 20 MSPs were in contact, or spoke directly to our cross union delegation. Staff were also informed of our regret that Court members had not taken the time to dialogue with concerned staff at the follow up lobby of their meeting in the Britannia building. 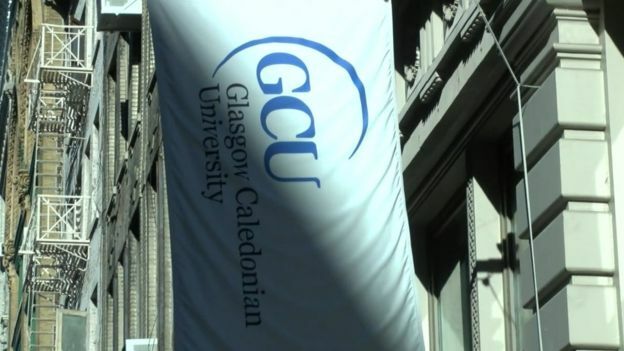 Staff at the meeting – who represented all 5 campus unions – were surprised that a response from the university from GCU to the Presiding Officer of Holyrood following his intimation of concern about the project, stated that opposition had been expressed ‘from only two unions’, and ‘supported by one union representative in particular’, and were also surprised to find that following a letter of concern from John Mason MSP, the head of communications at GCU had suggested that the sum total of opposition to the project might be limited to the eight or so delegated union reps who had travelled to speak to MSPs. It is unfortunate that rather than acknowledging the issues of concern from the academic, professional service and support staff, and student community, there seems to be a preference to suggest, the concern is really not there, or somehow it’s confined to a vocal and presumably unrepresentative minority. When according to press reports, $15m has been invested in a project at a time of austerity – with no positive results as yet, then we need a serious and respectful discussion with staff, rather than a dismissal. We also expect Court – where the responsibility lies to ensure that university management are given adequate guidance on strategy – to at least acknowledge that staff and students may have an opinion about this. This entry was posted in Combined Union Committee, Court and tagged Governance. Bookmark the permalink.